I recently read that at a biennale held in South Asia in 2012, of the 90 artists invited, only six were women. Amazed at such a statistic in the 21st century, I felt I needed to reconsider my own research about Asian women artists and the cultural context in which they work. It is not enough for feminist ideas to exist theoretically for society’s intelligentsia. If its underlying principles do not actively inhabit everyday life, the limitations for women will continue. Fearless: contemporary South Asian art , which is currently on display, is the first exhibition of South Asian women artists at the Art Gallery of NSW. The last time the Gallery held a group show of women artists of the Asian region was in 1999, in an exhibition curated by Victoria Lynn called Voiceovers . Nearly 20 years later, Fearless draws on the strength of the Gallery’s collection, supplemented by some key pieces on loan, to present works dating from the 1990s to the present. Considered one of the most important contemporary artists internationally, Nalini Malani has forged a path for many of the women artists. She was born in Karachi (now in Pakistan) but as a child moved to India before the Partition of 1947. 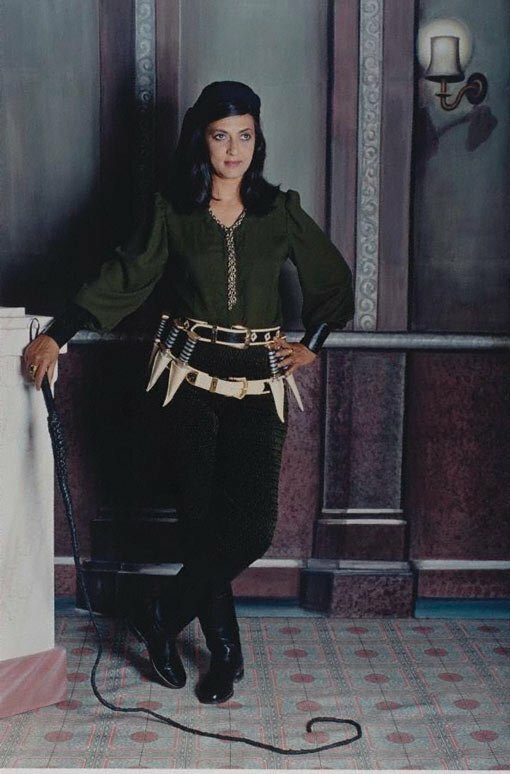 As a young woman Malani struggled to find support to be an artist and when her father refused to finance her training at the Sir JJ School of Art in Mumbai in the 1960s, she funded herself. Further, she had to tolerate the discouraging mumblings of a senior male artist once she started exhibiting, who opined she would be better off being a housewife. The earliest works in Fearless are two printed and painted books by Malani: Lohar Chawl and Degas Suite . Both are from 1991 and take inspiration from the lifestyles of people on the streets of Mumbai. 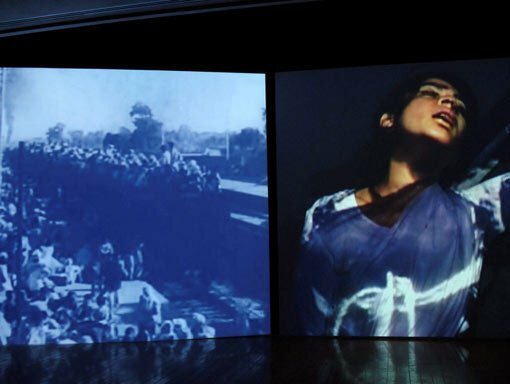 More recently, large-scale videos have provided Malani with a means to examine her interests, such as Mother India: transactions in the construction of pain 2005. 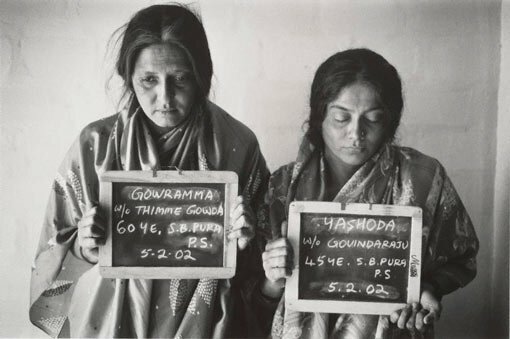 The work was inspired by a 1996 essay by anthropologist Veena Das, Language and body: transactions in the construction of pain , which scrutinises the violence perpetrated on women in Indian society. In Mother India , the violent tragedy of thousands of Muslim, Hindu and Sikh women raped and killed in the name of belief and politics during the time of the Partition after 350 years of British rule is visually and audibly expressed. Engulfed by five large screens emitting a dark intensity, the viewer has no escape from the abstract scenes that include destroyed landscapes and the body of a woman superimposed over the map of modern India – her body as metaphor for nation. Displacement and estrangement are also subtly addressed in the work of Shilpa Gupta with two on loan from her studio. 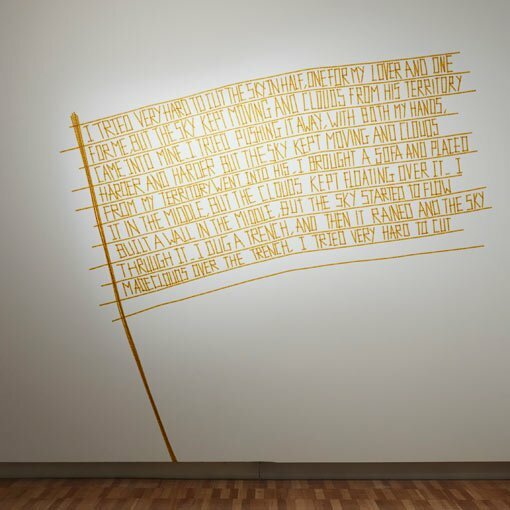 Untitled (There is No Border Here) 2005-06 is a wall installation with text in the shape of a flag constructed from tape printed with the repeated phrase ‘THERE IS NO BORDER HERE’ while 100 Hand-drawn Maps of India 2007-08 projects electronic images of free-drawn maps of India. Both contemplate ideas of borders: Gupta addresses the situation in South Asia, particularly between India, Pakistan and Bangladesh. She persuades the viewer to look at how the construction of borders creates territories which disrupt on many levels. The Warrior , a sculpture from the Mubarizun – No More Series 2014, depicts a headless yet decoratively uniformed body of a soldier encircled by spears – their violence countered by delicate, gentle peacock feathers. 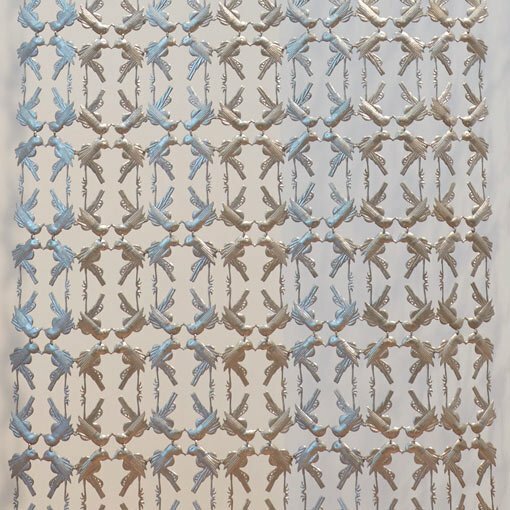 After all it’s always someone else who dies 2017, a work by Suleman on loan to the exhibition, identifies society in flux through repetitive patterns of tiny metal birds hung like a curtain, each bird representing a death in Karachi, the city in which the artist was born. On closer inspection, disconcerting handles of revolvers appear as part of the birds’ bodies – testifying to the way the deaths occurred and the loss that remains. Huma Bhabha is best known for her often large-scale sculptural works that appear to present abstract renderings of mutant figures. She has a keen interest in science fiction, being influenced by Star trek , Stanley Kubrick’s 1968 film 2001: a space odyssey , David Cronenberg’s films and the Alien films. She has said, ‘It became clear that the issues that genre deals with – the state of the world, the future and the fate of human beings – paralleled my own interests and sensibility.’ Untitled combines imagery of Bhabha’s monumental sculptures with a black-and-white photographs of Karachi – a place she sees as part of her. ‘My work is all about visual things from different places. Having spent periods in Pakistan, in New York City and now here in Poughkeepsie, I sometimes feel like a nomad, carrying myself from one setting, one landscape, to another,’ says Bhabha. 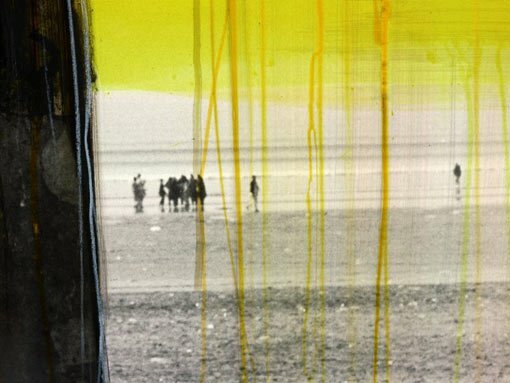 In contrast to Bhabha’s sci-fi connections, Shahzia Sikander examines tradition in her art. When she chose to train in the then unfashionable technique of miniature painting, it was an act of defiance but at the same time a dialogue with traditional art. Sikander began to abstract the symbolism and landscapes found in traditional miniatures and deconstruct its codes in her work. The illustrated page (edition #2) 2005-07, in the form of a giant book, references Arabic text; however, her form of abstraction gradually removes the elements considered fundamental to traditional miniatures and magnifies what is otherwise ignored. Another use of the past is found in the colonialist or historic moments appropriated by Pushpamala N and Clare Arni in Native women of South India 2000-04. The series of staged photographs of the artists depict stereotypical images of women in media, movies, as goddess or what the artists describe as ‘native types’. Recognisable for example are famous movie stars, such as Jayalalitha in Cracking the whip from a 1970s movie still. Criminals is taken from a newspaper article, where two women are arrested and publicly shamed for chain snatching. Alongside these powerful works are new acquisitions by Reena Saini Kallat, Dayanita Singh and Zarina, which we’ll look at in future posts.